This month Indian and Albanian exchange users faced some unwelcome news. But does this mean it’s the end of the line for Indian exchange users? When the exchange closed for Portugal in 2015 many of the serious exchange users found a way around the problem! Doesn’t sound great does it? But don’t panic, if you’re an Indian exchange user it may not be the end of the road yet. When other countries have shut down savy bettors have just opened up a new account via a virtual server, in a location that permits access. This of course is not particularly legitimate (I’m not telling you to do it), but you don’t have to look far to see others doing it. An alternative to extreme measures such as moving to the UK. When Portugal closed one follower actually messaged me to say they had done that! The official cut-off date was the 28th of January. Those affected should have received an email about the changes on the 16th of January 2019. There doesn’t seem to be an official reason released for the decision although it’s likely to be linked with India’s current position with regards to legalisation. For future details you can check with the All India Gaming Federation (AGIF). 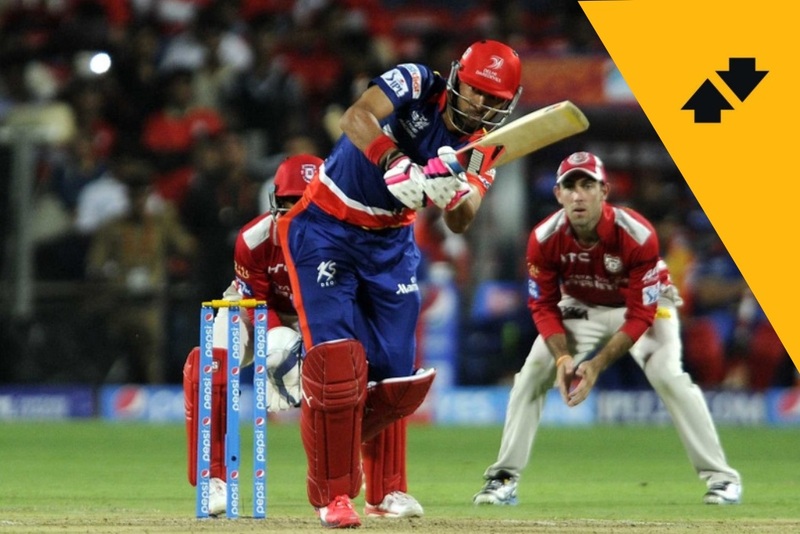 Some of you may be aware of Mark Iverson, a UK based pro cricket trader (speaking later this month). Having spoken to Mark recently I wondered what his thoughts were on the topic. To find out more about Mark and what he’ll be talking about later this month see you can see the Betfair Trading Event page here. Will Betfair Return to India? To be honest, it’s unlikely in the short-term, I doubt the decision was taken lightly. However, other countries have returned to the yellow machine in the past. Both Italy and Spain falling into that category. For now, it’s probably best to look at some alternative methods to get back on the exchange. Hi caan! I have moved to London few months ago and I am working on Betfair platform. I want to know if there is any relevant legislation concerning betting exchange and if these kind of winnings should be declare on self-assessment. I know that if you are self-employed you have to fill a self-assessment tax return form and send it to HM Revenue & customs. I also want to know how I can prove that I am working as a self-employed with the Betfair platform, because in case of Brexit I need to prove that I am working in UK. Hey caan, you are my betting guru. I had purchased you book on Betfair trading made simple and volla. 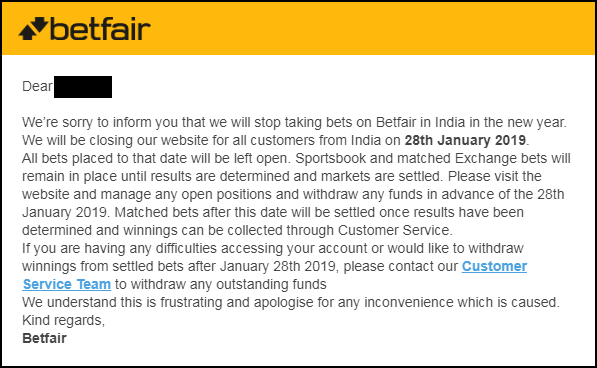 Within two months my Betfair account closed as I belong to India. Then I downloaded geeks toy for matchbook but unsurprisingly matchbook customer service told me that they won’t cater to indian customers in the future. So I am pretty hopeless now. I made around 7000 GBP last year on cricket and football trading ( without a software). Thank god I did not leave my full time job as I was planning to switch to full time trading football and horse racing markets. after going through your books and my future plan was to subscribe to your video lessons. But alas. Half of my yearly earning is in shadows right now. Let’s see if things change in future. Sorry to hear that buddy. It’s never fun for those affected when these sort of things happen. However, I would guess 7k a year isn’t too bad in india? Could be worth looking about for alternative options. I have found a way to access Betfair from India by the way! Please tell us how to access through India? ?